Details on how Gildredge House spends its Pupil Premium funding and the effect this has on the attainment of the students can be found here. At Gildredge House, we have an appointed Pupil Premium Champion who ensures that the additional sum of money paid to all schools in order to tackle educational disadvantage resulting from low income or family circumstance, is used effectively. We have established a clear rationale for the use of this money and seek to work in partnership with the relevant families to ensure it is spent well. The amount is calculated based on the number of students on roll who are currently eligible for free school meals (or have been eligible for free school meals within the last six years) and children looked after in local authority care. 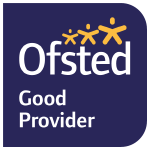 Government guidance allows the school to decide how best the money is spent and in choosing how to do this, we consult families and external agencies as well as looking at up to date research and examples of best practice.